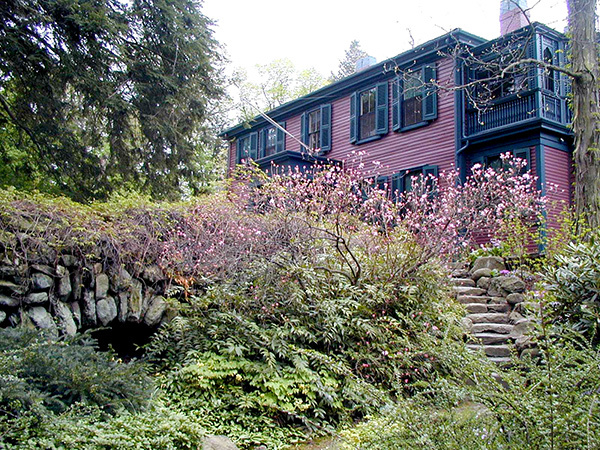 After obtaining the commission to design the Emerald Necklace in Brookline and Boston, Frederick Law Olmsted, Sr. moved his home and office to Brookline in 1883. 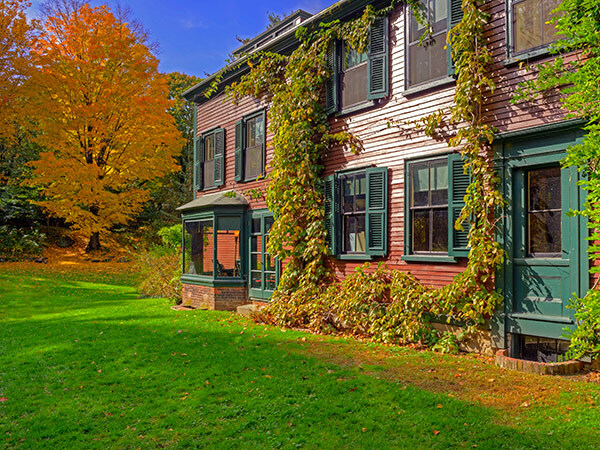 Transforming the 1.75-acre agrarian property into a picturesque landscape was a collaboration between Olmsted and John Charles Olmsted, who oversaw most of the construction. Hans J. Koehler, an employee of the firm, also played an integral role in the development of the grounds between 1910 and 1930. 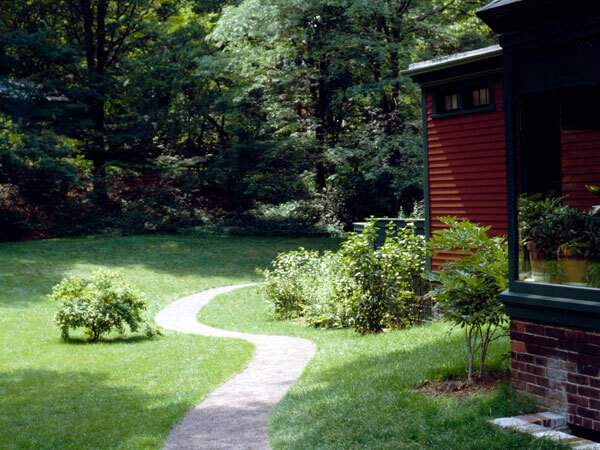 Working within a residential neighborhood of rolling hills and country roads, the naturalistic design blended Olmsted’s smaller property into the surroundings while also ensuring privacy for his family. 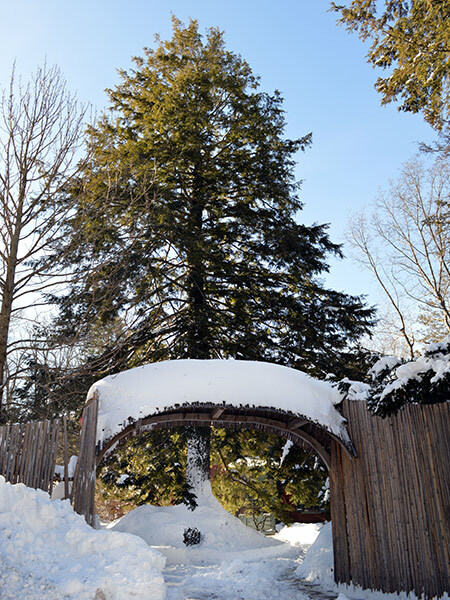 Screening two nearby streets, Olmsted planted masses of vegetation and installed a rustic spruce-pole fence covered in fast-growing vines. 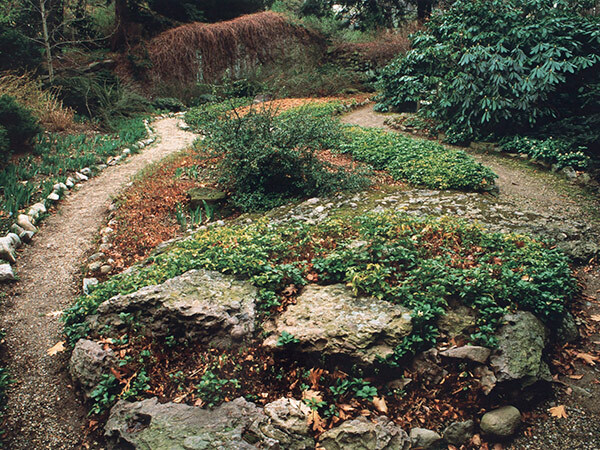 On the south side of the property Olmsted kept the remains of a gravel pit as a geological remnant, and created a path there using local sedimentary rock (Roxbury puddingstone) interspersed with native trees and shrubs. The result was a miniature version of the picturesque qualities found at the Ramble in Central Park. 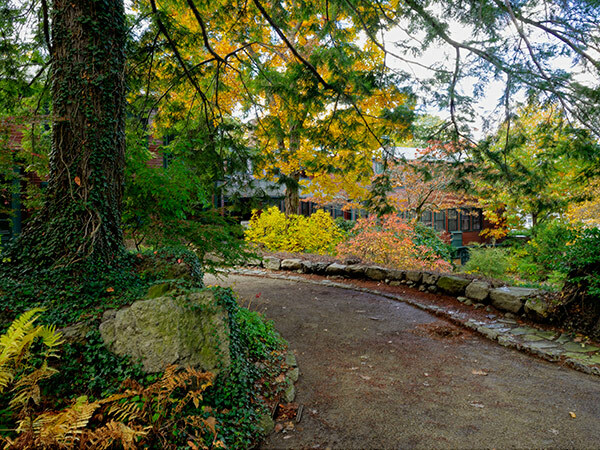 Near the house is an irregular lawn flanked by a mixed composition of trees, shrubs, ferns, and groundcover. The house is subordinated into the landscape, with climbing vines growing on the walls. Fairsted was named a National Historic Site and designated a National Historic Landmark in 1963, and was listed in the National Register of Historic Places in 1966. 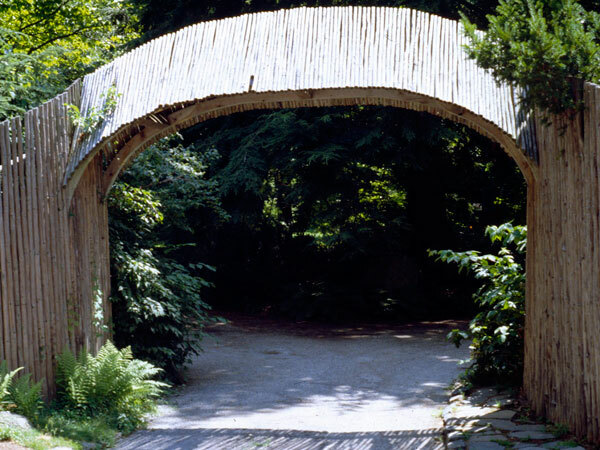 In 1980 the National Park Service acquired the property, including the house and its contents and the grounds. 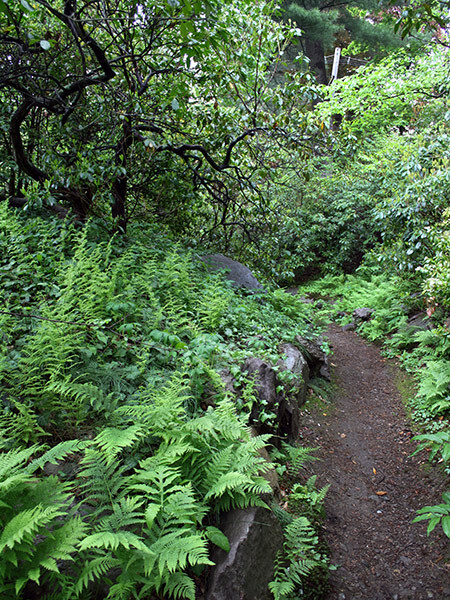 During the 1990s, hundreds of invasives were removed, replaced with herbaceous plants, shrubs, and trees in accordance with plans and photographs dating to the 1930s.